We continue our look at the golden boy nominees with the 4thh installment of the series. You can read the rest of the series here. He’s an English footballer who plays for Everton FC as a forward. The 20-year-old is 1.87m tall; one youngster who can win headers against most people (he has averaged 2 aerial duels per match in the EPL), and he is also blessed with remarkable pace and acceleration for someone his size. His shooting technique is also one of his traits, and he has the uncanny ability to score from seemingly impossible angles. 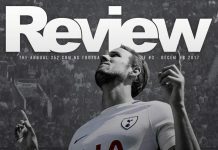 Calvert-Lewin was imperial in the 2017 U-20 World Cup in South Korea especially in the Final where he scored the winning goal in a 1-0 victory for England over Venezuela where his country emerged champions. 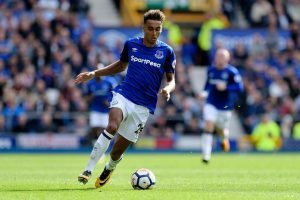 He’s been deployed by his new manager Ronald Koeman to play wide due to his pace, and currently, is not doing badly in his debut English Premier League season. Make no mistake, being called the next Philipp Lahm is a huge expectation to live up. A man that Barcelona legend Pep Guardiola described as the most intelligent player he has ever managed, any player who is remotely linked to being his successor must be very good. However, this comparison is not far off. 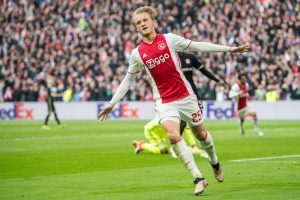 Dolberg was signed from his local club Silkeborg IF in 2015, but it was in the 2016/2017 season that the Dane really came to the fore scoring 16 goals in 29 Eredivisie appearances and 6 more in the Europa League as Ajax reached the final but lost to Manchester United. His displays for Ajax earned him the Ajax talent of the year and Dutch football talent of the year awards. 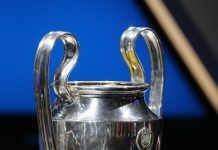 Accurately described as a walking highlight reel, he is the latest Dane to make his name at Ajax after the successes of players like Christian Eriksen. Dolberg is well known for his brazen show of talent and skill, and his excellent spatial awareness and intelligence. It was almost inevitable that he would end up on the shortlist for the Golden boy award. 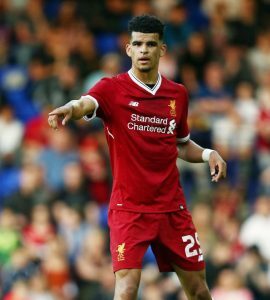 An impressive performance this year at the U20 World Cup earned Solanke the Golden ball award and also a gold medal with England. Dom can boast of playing for 2 big clubs in England; Chelsea and Liverpool. As most Chelsea youth players, Dom spent a season on loan at Vitesse and mustered 7 goals in 25 appearances, emerging 3rd highest goal scorer. Having passed through the Chelsea youth system, one might have guessed that he’d be a Chelsea player for as long as possible but Liverpool were able to secure him at the end of last season upon expiry of his contract. He has the potential to become one of the best forwards in the game with his pace, strength, skill and impeccable shooting technique. Having passed through the Chelsea youth system, one might have guessed that he’d be a Chelsea player for as long as possible but Liverpool were able to secure him at the end of last season upon expiry of his contract. He has the potential to become one of the best forwards in the game with his pace, strength, skill and impeccable shooting technique. Probably the best U-21 left back in my opinion. 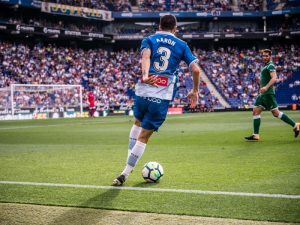 Martin who came through the Espanyol youth system made his first-team debut coming in as a second-half substitute against Villareal in a 0-0 home draw last October. He has cemented himself as a regular starter for the Catalan club since then and it’s not hard to see why. Martin who has made 28 starts for his club since his debut is one of the most sought-after left backs in the world. 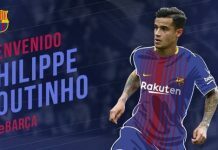 His ability to defend as well as attack has made him one of the best young fullbacks attracting clubs such as Barcelona, Manchester United and also Manchester City. 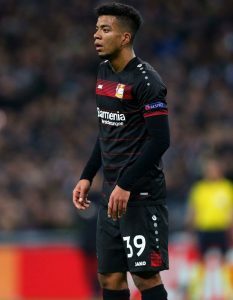 He is able to dribble very well, make key passes and also puts in really good crosses into the opposition box, almost the Marcelo-esque type of left back. It’s really not had to see why he made the shortlist. Keep your eyes on this lad. Previous articleAnthony Martial: Introducing Martial FC, The Coolest Team In Town.